This is a 35x40mm. 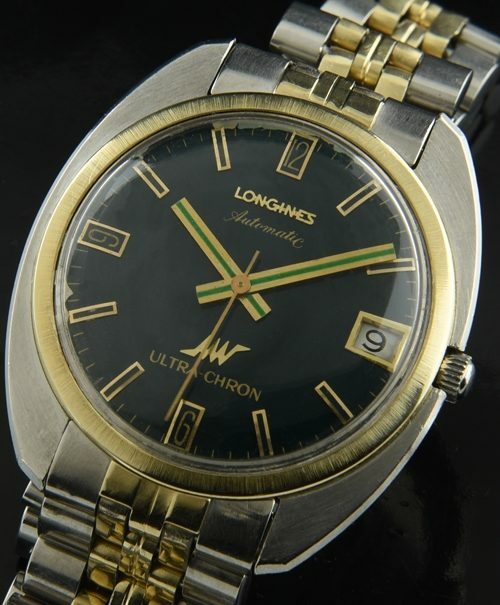 1960’s Longines Ultra-Chron stainless steel with 14k. capped gold bezel. 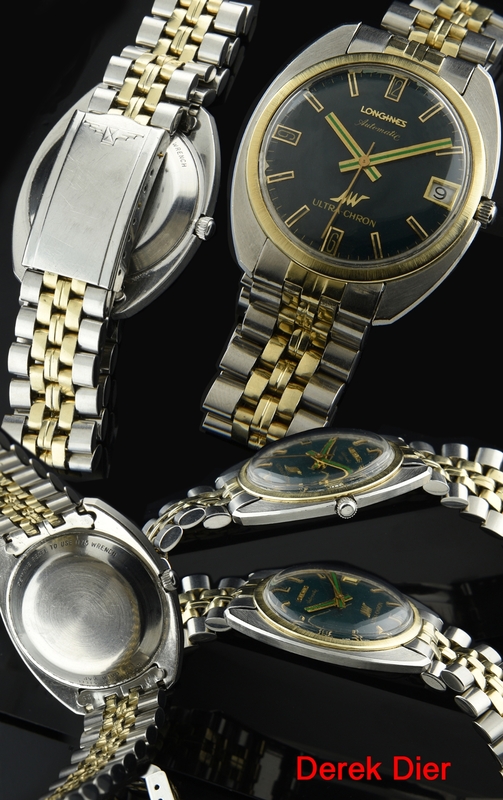 The two tone gold capped and stainless steel bracelet is original to the watch-hard to find! The full-length bracelet has the usual stretch, but looks great on the wrist. The original dial is quite interesting and uncommon-being deep green with raised gold toned baton markers and green inlaid original hands. There is some flaking in some areas on the extreme outer edge of the dial, but with the naked eye you can only really see it near 4:00. This watch has the desirable high-beat LONGINES caliber 431 movement which was just meticulously cleaned and is accurate. This is priced extremely well.